The Cimarron National Grassland is a finalist for the 8 Wonders of Kansas because of its early pioneering advancements in conservation, because it contains the longest publicly-owned section of the historic Santa Fe Trail, and because it features three ecosystems (shortgrass prairie, sand-sage prairie, and wooded riparian)! Located in the southwest corner of Kansas, in Morton and Stevens counties, it is one of only 20 national grasslands in the United States and contains more than 100,000 acres. It is the largest tract of public land in Kansas. The Grassland offers an abundance of prairie flowers, wildlife, and excellent opportunities for bird-watching. The prairie chicken leks are famous here. Following the most disastrous years of the infamous Dust Bowl of the 1930s, the federal government bought land and took it out of production in order to help control wind erosion that was ravaging the Great Plains. 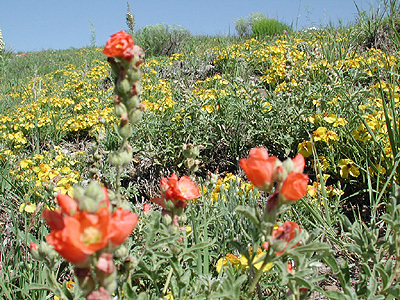 In 1954 it was designated a national grassland and assigned to the Forest Service. The Soil Conservation Service developed new methods to control erosion by establishing vegetation that would provide protection. The grassland is not a relic area of the original plains vegetation but includes land that was at one time held by private owners for agricultural purposes. 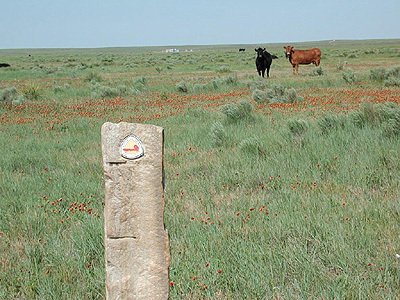 Twenty-three miles of the Santa Fe Trail cut across the grassland. Two of the best known landmarks along the entire Santa Fe Trail are located here. 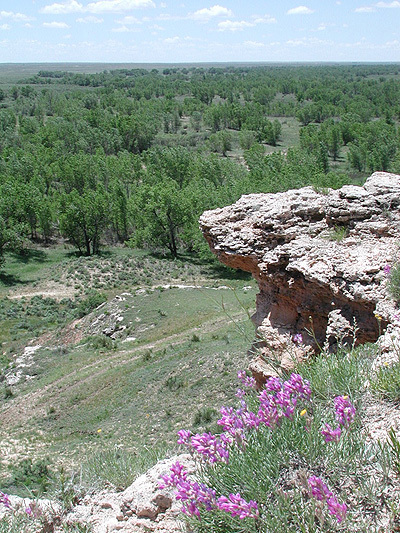 Point of Rocks is a flat-topped outcrop of light gray rock that overlooks the Cimarron River Valley. Middle Spring was one of the rare reliable sources of water in this area along the overland trail. A 30-mile self-guided auto tour takes you along the Santa Fe National Historic Trail. See contact information below to obtain brochure. If you don't want to follow the entire auto tour, take time to stop at the Santa Fe Trail sites of Middle Spring and Point of Rocks (turn west a half mile north of the Cimarron River bridge off K-27). Location: 2 miles north of Elkhart on K-27. Contact: Cimarron National Grassland, 620.697.4621; sharilbutler@fs.fed.us. Get brochures at Cimarron National Grassland office east of Elkhart on U.S. 56 at 242 Highway 56 East.